Team Captain James Riley in his Cascadia Kit for the 1st time. Currently training in London, England, Captain James Riley of Team Cascadia took to social media Friday to announce his leadership and to promote the team colors, wearing his jersey for the first time. In a brief statement he noted his delight being able to participate in the upcoming event. "I am delighted and honored to announce I will be captaining the @CascadiaSoccer team at the @CONIFAofficial World Football Cup in London May 31st-June9th." In a series of images, Captain Riley is seen on a soccer pitch with the official Team Cascadia colors in the way of the Home Jersey. 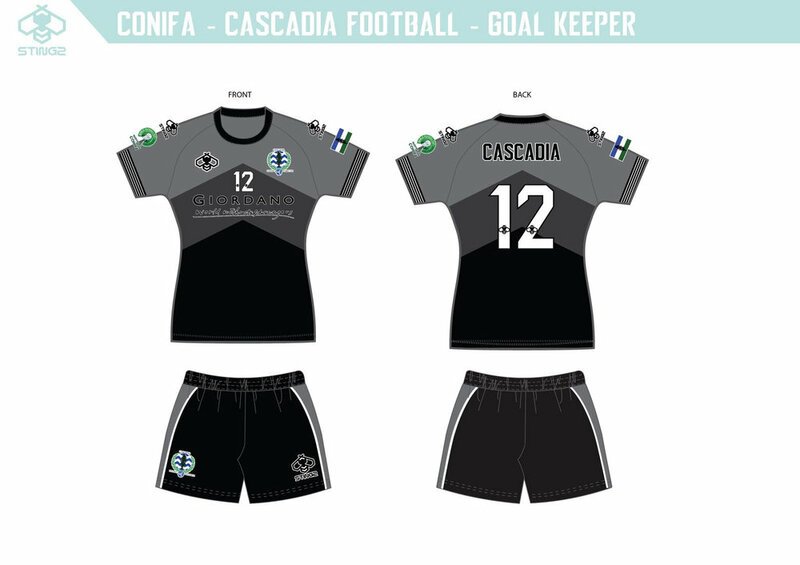 The first picture shows the front of the jersey while Riley holds it, while in a teaser of a promotional photo shoot, Riley looks resolutely across the field as you see the white letters of CASCADIA emblazoned across the back of the top. What a Cascadia Day celebration indeed! The limited production Jersey, designed here at CAFF and by our Kit Partner Giordano/Stingz is available for purchase through a pre-order linked to the button below. Captain Riley's full post is imbedded below.